Govinda Shetty doesn't accept globalization which brought the countries nearer. Because even he was a part when India also accepted these which resulting in the gradual change in the lifestyle by popping up Malls and Marts. Awesome story. The story about how FDI changed our culture and affected our people. Great message. Thanks for uploading this movie. Great Story. Made us think what is good for our society where we live. Great Storyline. Excellent direction and narration. Superb acting by &amp;quot;Govind Shetty&amp;quot;. Evokes self reflection. Can this be screened in public for a small group? Beautiful Great story very good actors. Great movie... Every scene carries the audience attention and screenplayed so well... Outstanding performance by Dattatreya &amp;amp; Sudharani. Excellent direction and narration. Awesome movie, makes me sad but there isn't much we can do about it except educating people about its cons. Superb movies for the young generation. OLD IS GOLD. Sir. H. G. Dattatreya really needs an applause for his performance.. This movie certainly makes us think and shows us how FDI has affected our own peoples life. 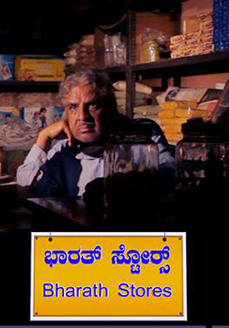 Amazing movie.. Flawless performance and what a screenplay.. P sheshadri is a genius... great work!! very heartening to see good movies like these in Kannada. Fantastic performance by actors, especially Dattatreya. Great direction by Sheshadri P. Please keep making good movies. Wonderful movie.great message.Einthusan Thankyou for posting this movie.can you please add more Kannada movies.thankyou. @Admin Could you please upload Rangitaranga with subtitles. I have been waiting for this movie for so long. Great performance by Dattatreya &amp;amp; Sudharani. Very good script &amp;amp; direction. Wonderful movie! Very relevant, realistic and thought provoking. The acting by all the artists are superb, and Dattanna's acting is truly exemplary, a true lifeline of this movie! So glad I watched this movie. Highly recommend this movie !!! Really shedded a tear seeing the movie.. Awesome performance. Even malls are declining with people doing more online shopping. You can still call your trusted regular local grocery store and get things at your doorstep. What big deal. At the same time small retailers also need to upgrade their shops with products in demand and keep the customers intact. Shouldn't sell this country to foreign business.